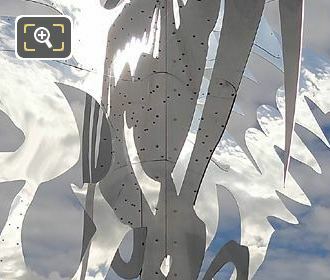 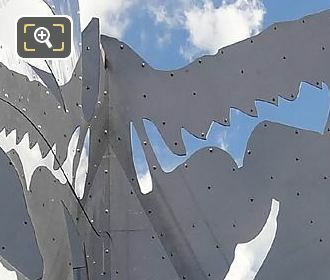 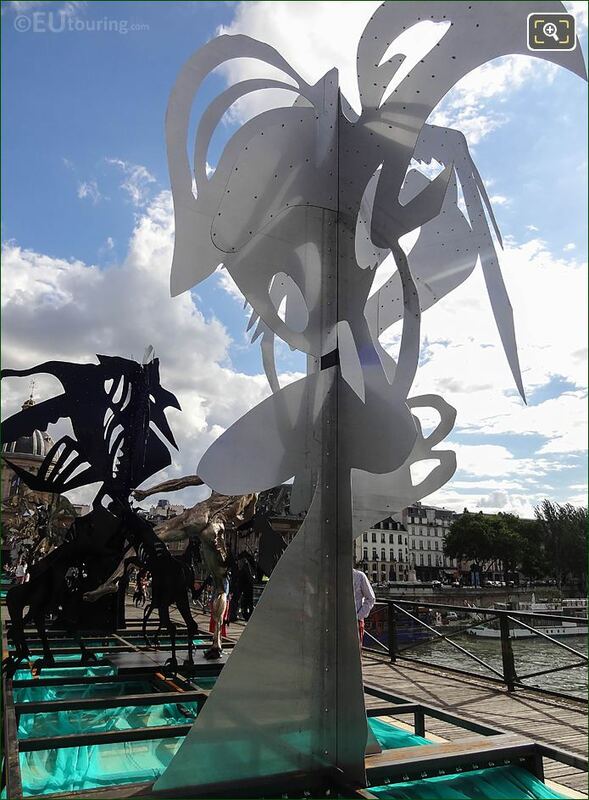 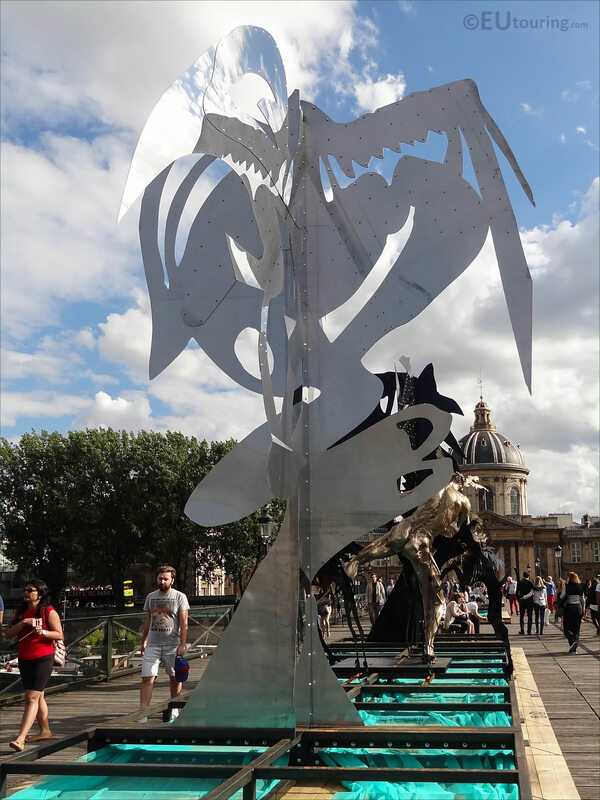 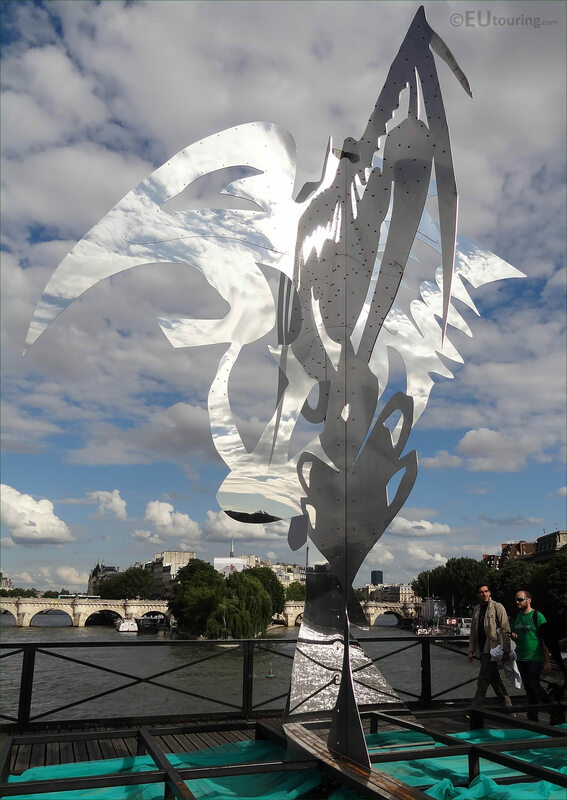 Again while at the Pont des Arts, we took these high definition photos showing a contemporary art sculpture called Arbre III, which was designed by Daniel Hourde for La Passerelle Enchantee exhibition in Paris. As you can see here, the Pont des Arts is a wooden decked historical pedestrian bridge that travels over the River Seine from the Musee du Louvre to Institut de France, and when the padlocks were removed from the railings temporary art works have since been installed, with the first being street art boards before these were replaced by plexiglass. 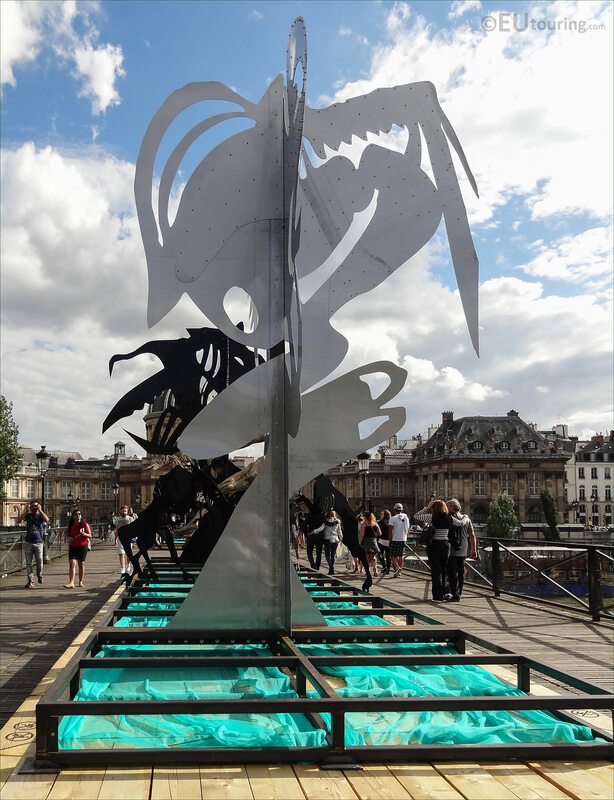 Yet this temporary installation called La Passerelle Enchantee, which translates in English to The Enchanted Footbridge, was designed by the artist Daniel Hourde to be the transitional exhibition from the lovelocks to contemporary art utilising metals such as steel, like in this HD photo showing Arbre III, or Tree 3. 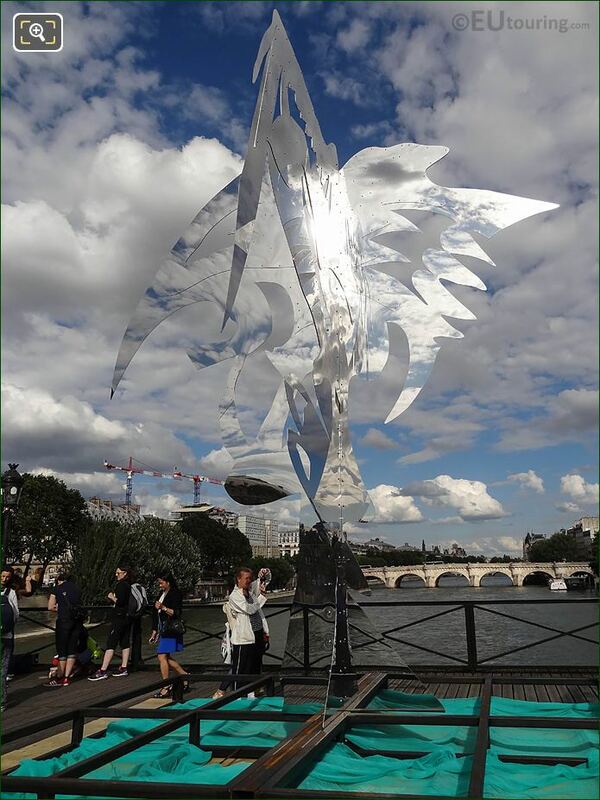 With the stainless steel acting like a mirror, the Tree III seems to almost vanish into the skyline and its surroundings being rather enchanting and fascinating, which is what Daniel Hourde envisioned, and you will find that there are actually several sculptures of Trees within this temporary exhibition in Paris on the Pont des Arts. 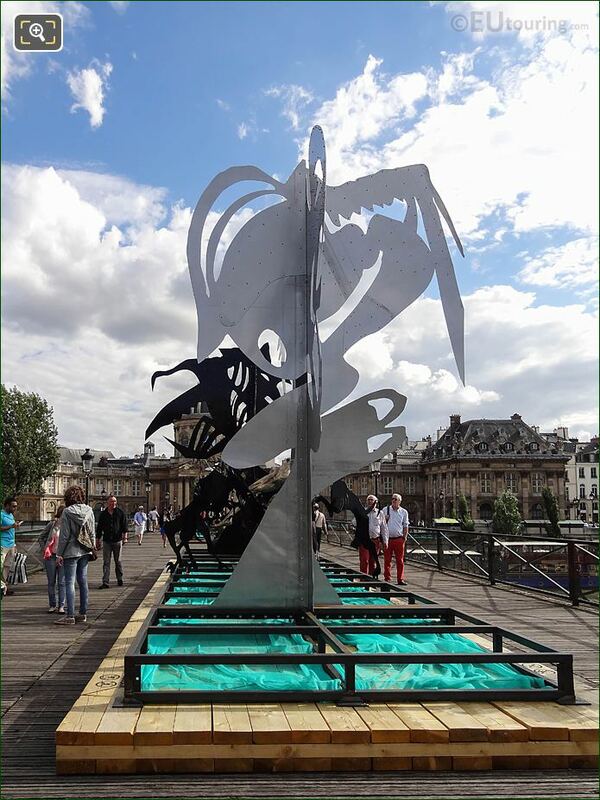 Yet the original idea that Daniel Hourde came up with, was by referring to when the Pont des Arts was first being constructed, as the architects and designers wanted the bridge to be like a suspended garden where people could promenade over the River Seine, but after six month it proved to be unviable. Therefore Daniel Hourde designed ten different sculptures called Arbre for La Passerelle Enchantee temporary installation, with each being given a number, like this one of Tree 3 and this was part of the transition idea to get people still enjoying what became known to many throughout the world as the Bridge of Love. However, in this photo you can see where this Arbre III has been positioned onto a temporary platform, which includes additional sculptures, and there are several of these platforms going the entire length of the Pont des Arts, with each statue, sculpture or Tree being completely different.